Just over a month ago I put out a request on this blog for comments on the design for a geocaching quilt. We saw a similar quilt up for auction at the NCGO Fall Fling back in September. We didn't win the auction, so we decided to take a crack at making out own. 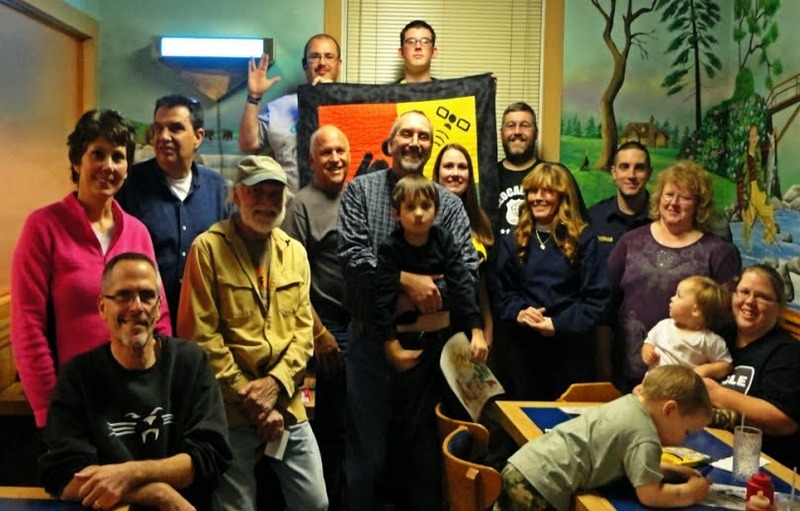 Last night we unveiled it at a local geocaching event. I dubbed it "The Comfort Zone." My wife is an accomplished quilter, a true lady of the pieced cloth she is. She did the majority of the work. I helped with the design, and picking out the fabric. You can see the details of the quilt in progress on my wife's blog here. 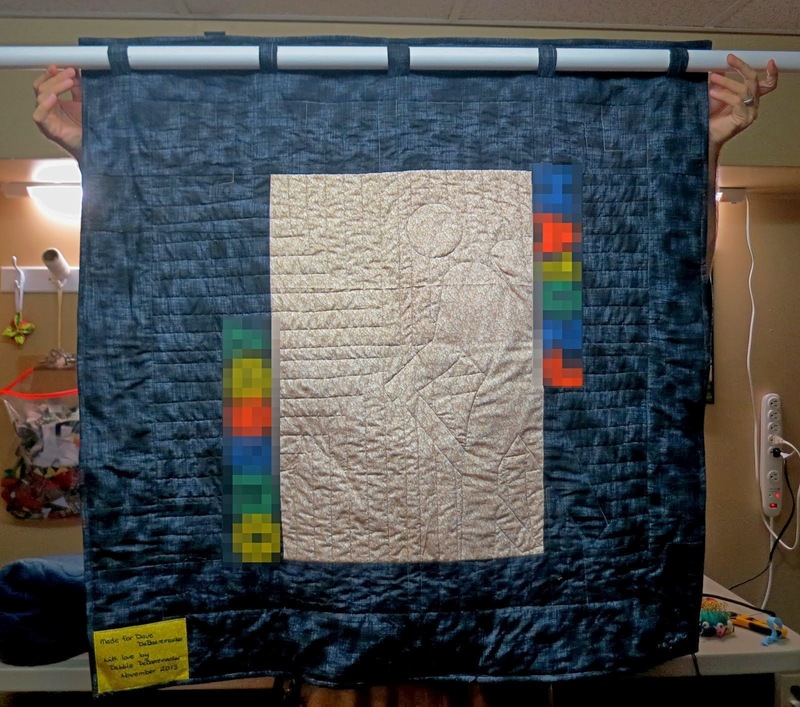 The quilt has many of the symbols associated with geocaching: A hiker, a satellite,and the geocaching logo. The quilt is trackable. On the back is the tracking code. The quilt is also a moving cache on opencaching.us. A cache needs a log, so my wife put in a tan coloured panel on the back that folks can sign (with a sharpie) to prove they saw it. The quilt has supports for a rod so it can be hung up and displayed. So it is also a wall hanging. I will, hopefully, be bringing this quilt to any events I attend, so be on the look out for it. Any cachers who visit me at my home will also be able to sign the log, and discover the trackable.